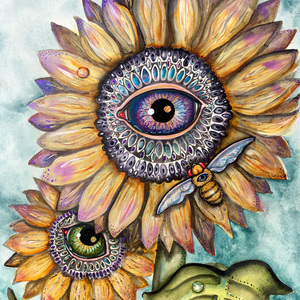 Bee a Visionary - Bright Sunflower and baby Sunflower share the sun with the eye bee! 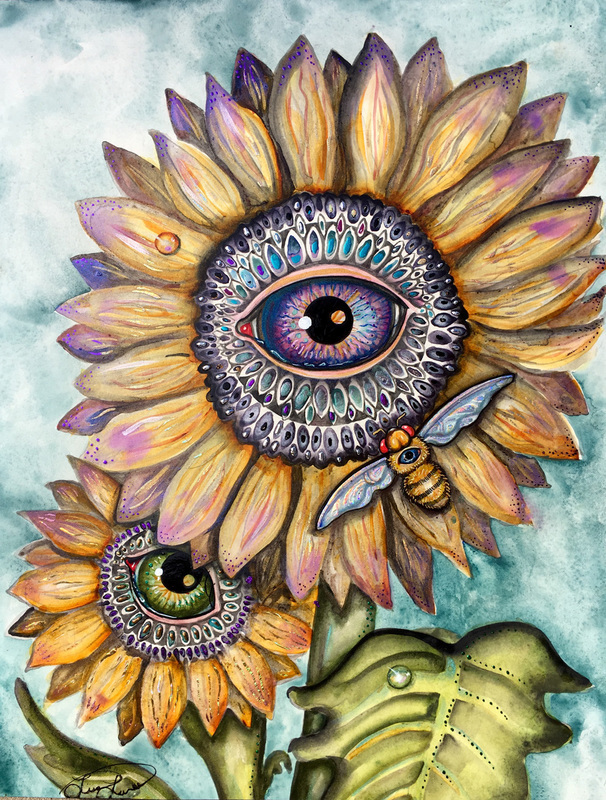 This piece was painted with genuine gemstone pigments and embellished with holographic foils on paper - then mounted to cradled birch board. The sides have been painted black and it is READY to HANG!